In a recent article for HBCU Money, I was researching the educational demographics for America’s 100 wealthiest. Naturally, as I was looking through their profiles I was seeing the names of your typical Harvard, Yale, etc. as colleges attended. Knowing that Oprah Winfrey, who is not among America’s 100 wealthiest, has long been the only African American billionaire and was an alum of Tennessee State University it seemed fairly certain she was then the wealthiest HBCU graduate. You know A + B = C type stuff. Well, you know what happens when you assume. I stumbled across the profile of one Ann Walton Kroenke and saw the name Lincoln University, but the profile did not specify which Lincoln University. 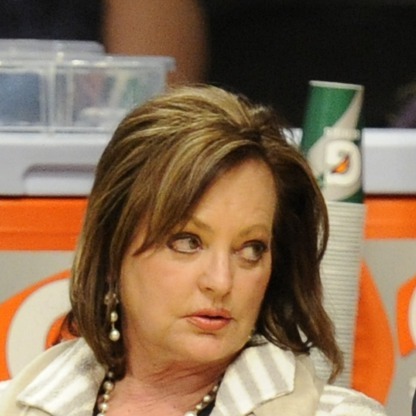 If it turned to be true, then Ann Walton Kroenke would actually be the wealthiest HBCU alum. Mrs. Kroenke’s $5.1 billion net worth according to Forbes makes her 76 percent wealthier than Oprah Winfrey. Wait, what? Can that be right? Is there another Lincoln University other than the two HBCU Lincoln Universities? Turns out there is one in California so the investigation was on to verify exactly which Lincoln University she attended. After some digging and further research the answer would indeed be she attended and finished from the HBCU known as Lincoln University of Missouri. According to Lincoln University (MO) school records, “Ann Marie Walton received an Associate of Applied Science majoring in Nursing Science on May 14, 1972. She attended Lincoln University from August 1970 to May 1972.” Yes, the Walton name you see is actually her maiden name; and yes it is those Waltons to which she is related and derived most of her wealth from. She is the daughter of James “Bud” Walton who co-founded the Walmart empire with his brother and more well-known Sam Walton. James and Sam Walton spent their formative years being raised in Missouri by their parents. According to the Historical Society of Missouri, the majority of Walmart’s initial store openings would happen in Missouri and Arkansas. The pair originally got started owning Ben Franklin variety stores after Sam Walton obtained a $20 000 loan from his father-in-law in 1945. An amount that would be equivalent to $260 000 in today’s dollars. Walmart would come into being after the two brothers decided to expand into rural communities in the early 1960s. Although the company is well known as having its headquarters in Arkansas; the family’s roots have been firmly planted in Columbia, Missouri since the 1930s. A fascinating prospect if ever there was one given Missouri’s own paradoxical racial history despite not being considered “south” geographically, but having much of the cultural nuances of it. Mrs. Kroenke, would have been a fresh 21 year old at the time of her arrival in the fall of 1970. The Nursing Science program itself would be just a year old at Lincoln having been launched in 1969. America’s backdrop in 1970 would be fresh off the heels of Malcolm X’s assassination in 1965, Martin Luther King Jr.’s assassination in 1968, the signing of the Civil Rights Act in 1968 by President Lyndon Johnson, and the Black Panther Party in 1970 would see the apex of its membership and power. Walmart as an incorporated company is not even a year old, when the then Ms. Walton would be entering Lincoln University’s (MO) program. America’s wealthiest family to be was by no means poor, but her father and uncle were also leveraging all of the family’s resources to strike out on their own and build their company. The possibility that Mrs. Kroenke at the time needed a fallback could have certainly been plausible, but why Lincoln University (MO)? Given the backdrop of race relationships, civil rights, and her family’s resources it is inherently fascinating how the family and/or she decided to send her 40 minutes down the road to Jefferson City, Missouri to attend an HBCU. The discovery of Mrs. Kroenke as a Lincoln University (MO) alumni is no small happenstance. Not only is she worth $5.1 billion herself, but she is married to one Stanley Kroenke who is billionaire real estate developer himself worth $5.6 billion. The couple owns professional sports teams in every professional sport, except baseball. Their roster includes the NBA’s Denver Nuggets, NHL’s Colorado Avalanche, NFL’s St. Louis Rams, MLS’s Colorado Rapids, and English soccer club Arsenal. A $50 million donation from Mrs. Kroenke for the endowment would instantly catapult Lincoln University (MO) to the number six slot in terms of HBCU endowments. It would also become the largest gift ever to an HBCU and it would not even be 1 percent of her wealth and less than 0.5 percent of the couples combined wealth. Yes, you read that correctly. It would be interesting to see how the HBCU community would receive the donation quite honestly. There would be more than a bit of mixed feelings certainly. Given the new push for cultural and ethnic “diversity” (despite European Americans always being welcomed at HBCUs since their inception while vice versa was not true) at HBCUs as presidents have seemingly given up on how to increase the HBCU share of African American high school graduates going to HBCUs which currently sits at 10-12 percent, and instead focused on recruiting all other groups as a way to deal with tuition revenue shortfalls from dropping student populations and to sell themselves as more “American”. This despite many older HBCU alumni believing that these students are even less likely to give back to an HBCU than the traditional core demographic. There is no data to say one way or the other. Unfortunately, this is not something HBCUs can afford to be wrong on given the amount of resources they seem to be throwing at recruiting other communities. If the payoff is only a short-term fix for a long-term problem, then we are simply continuing to put a band-aid on a bullet wound. There is also the psychological impact of the largest donation (albeit from an alumni) still coming from someone that is European American much in the way when the valedictorian of Morehouse some years ago was European American and the fallout it caused. A wound, that in talking to some Morehouse alums still runs deep. However, Lincoln University (MO) seems to lack any endowment of note or at least has refused to publish the number anywhere in my research for it. The old adage that beggars can not be choosy may apply here as HBCUs have continued to lack in obtaining transformative donations, those that are of the eight and nine figure variety, and in general struggle with consistency in alumni giving rates as a whole. America’s wealthiest family at the writing of this article was worth north of $150 billion combined by the three surviving children of Sam Walton, the widow of Sam Walton’s fourth child, and the two daughters of James “Bud” Walton, one of which is Mrs. Ann Walton Kroenke. The family also has a bittersweet HBCU connection when in 2012 the Tennessee Supreme Court allowed Alice Walton, the only daughter of Sam Walton and founder of Crystal Bridges Museum in Arkansas, to purchase a 50 percent stake in Fisk University’s George O’Keeffe art collection for $30 million as Fisk dealt with financial issues. It goes without saying that the Walton family clearly knows about HBCUs, but whether or not HBCUs and more specifically Lincoln University (MO) can leverage that into something transformative is another story. I would go so far as to say I would set up an office in Columbia, Missouri if I was LUM’s administration and dedicate development staff solely to the purpose of achieving that donation. Honestly, finding out Oprah Winfrey is not the wealthiest HBCU graduate almost feels like the moment as a child you figure out Santa is not really real. To find out there are two HBCU graduates who are billionaires is always good news. That one of those billionaires is a member of the Walton family is almost too hard to wrap my own mind around at the moment, but as my favorite HBCUstorian Dr. Crystal DeGregory famously says, “HISTORY is the story of great men; HERSTORY of great women. HBCUstory is the story of HBCU greatness. That’s our story!” And I have to say our story never ceases to amaze me. This entry was posted in Lifestyle and tagged ann walton kroenke, hbcu alumni, lincoln university, walmart. Bookmark the permalink.